The AutoSeal® FD 2054 is a fully automatic pressure sealer which provides the ultimate high-volume tabletop solution for processing pressure sensitive one-piece mailers. Designed with ease of operation and efficiency in mind, the FD 2054 automatically detects and adjusts for 11”, 14” and 17” forms. It features 5 pre-programmed standard folds for even panel C, V, Z and uneven/eccentric C and Z folds. It also has the ability to store up to 35 custom fold settings with the simple touch of a button. 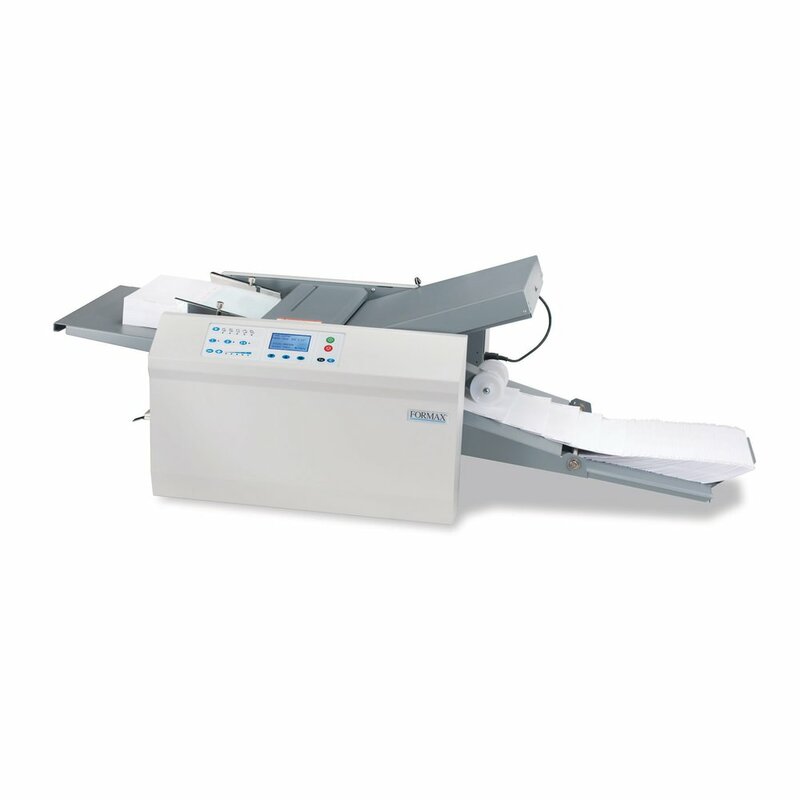 The FD 2054 utilizes a drop-in three-roller feed system which produces dependable feeding of forms with no paper fanning required. Forms are processed at speeds up to 16,450 per hour, and are output to an integrated telescoping conveyor with automated nip roller positioning, capable of holding up to 500 processed forms. The large 2.8” (71mm) backlit LCD display and user-friendly control panel allow for untrained operators to walk up and start processing pressure seal forms with little to no instruction. The FD 2054 advanced software allows for all standard fold types and paper sizes to be customized to meet your particular needs. Options include a fully enclosed cabinet for storage, 402 Series Joggers, and the V-Stack36 Stacker, which vertically stacks up to 22” of processed forms for easy unloading and handling.